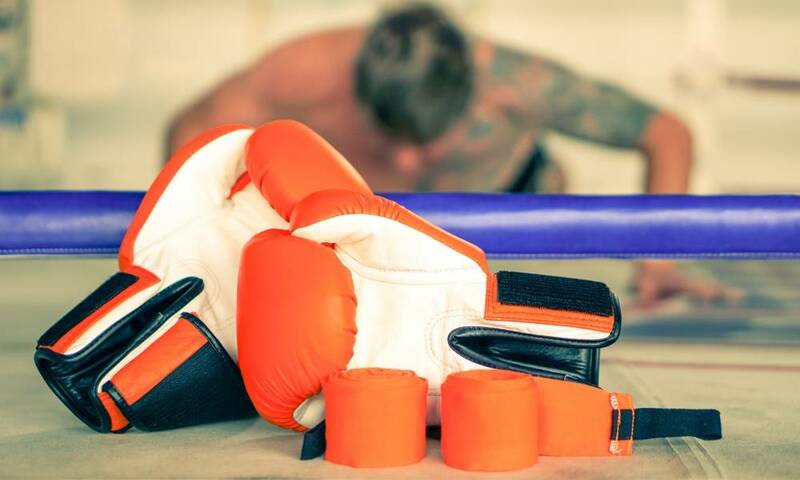 Whether you are serious about making a career out of boxing, or simply doing it to keep yourself physically fit, having a pair of quality training boxing gloves is a must. Training gloves are designed to be used for practicing your punch on a heavy bag without causing injury to yourself, and also for sparring purposes without hurting your sparring partner. In general, training boxing gloves feature plush padding combined with good support to the wrists to give the user more time to train without ending up with sprains and other injuries. For training purposes, bigger gloves are commonly recommended because they offer better protection for your hands. On impact, bigger-sized gloves will absorb more of the force generated as you come in contact with your target. If your target is a heavy bag, the punch is slowed down on impact. This is especially important if you are constantly practicing on a heavy bag, to avoid injuries that you may acquire in the long run. Additionally, when sparring, using bigger training gloves will mean less force will be transferred to your opponent to minimize damage. Remember, sparring is done to enhance your boxing techniques and not knock out your sparring partner. 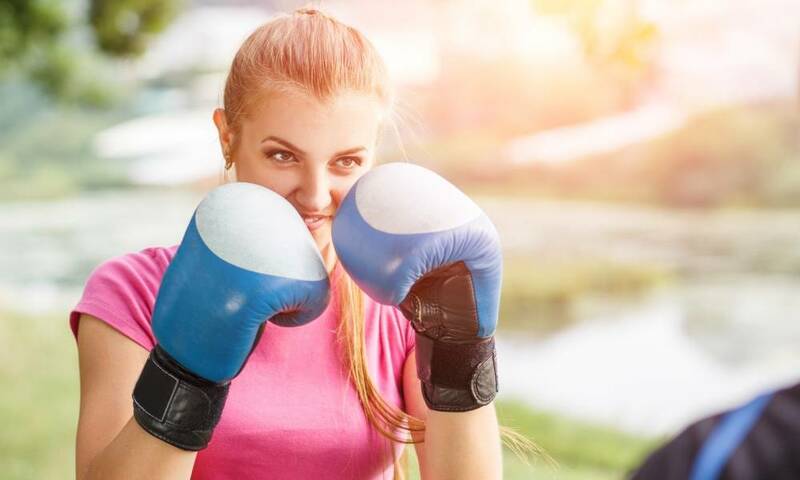 Training with bigger gloves can also work to your advantage since you will get more accustomed to the heavier weight, which can help you move your hands faster when using smaller gloves during boxing competitions. Bag gloves are very limited in terms of functionality; they are solely use for practicing with a static heavy bag. Also, bag gloves may actually increase your chances of getting injured during practice because of their almost non-existent padding. Instead, invest in a pair of quality training gloves that can be used for both sparring and hitting heavy bags. A snug fit is required even for training purposes to prevent the risk of getting your hands injured. It is still recommended that you fit the gloves with your hand wraps on to have a more accurate feel of the gloves and not just rely on what other people say about a specific brand. This will save you money, time, and most of all, ensure that you can train safely. A known Mexican brand for high-quality boxing gloves, these training gloves are quite expensive because they are made from high-quality 100% full-grain leather. The brand believes that the quality of training gloves used should also be given importance aside from competition gloves. For the interior, each glove is lined with satin nylon to provide comfort for your hands and also to help regulate the temperature inside. For the padding, the gloves feature latex foam padding that is comfortable when worn, as well as durable. Durability is expected with these gloves since they’re made of 1.0mm full-grain leather. Inside each glove, 1.75” of multilayered foam will absorb the impact of your punches as well as give your hand comfort while you train. A unique feature these gloves offer is the Ergo Xtrem Strap System. This system helps avoid lace burn and also makes readjusting the gloves, once laced up, possible by placing the lace at 15 degrees at the wrist. With this feature, the gloves’ fitting has improved into a more natural fit. The interior linings are laminated to afford extra comfort. A well-known brand in the world of boxing, Winning is known for making high quality and durable pieces. Simple interior foam padding lines the inner layer of the gloves providing support and protection. The interior foam is also stitched and placed strategically all over the gloves to evenly distribute the impact produced every time your hands come in contact with heavy bags or an opponent. The gloves also fit comfortably when worn, which is a very important factor when choosing your training gloves. For a more custom fit, you can always use the lace-tightening feature, according to the fit you prefer.